Instructions and help in creating OER for your courses. This page contains information on various platforms, digital tools, accessibility, how-to instructions and licensing. What kind of platform would you like to use? Which platform meets your needs? Do you have full citation and attribution information for all content? Do you have licensing, creative commons, fair use, and copyright information? What type of license and uses are allowed with the content you want to use? Have you checked the accessibility of the platform and your content? Schedule a meeting with Associate Professor and Librarian Miriam Deutch and an OER Developer. 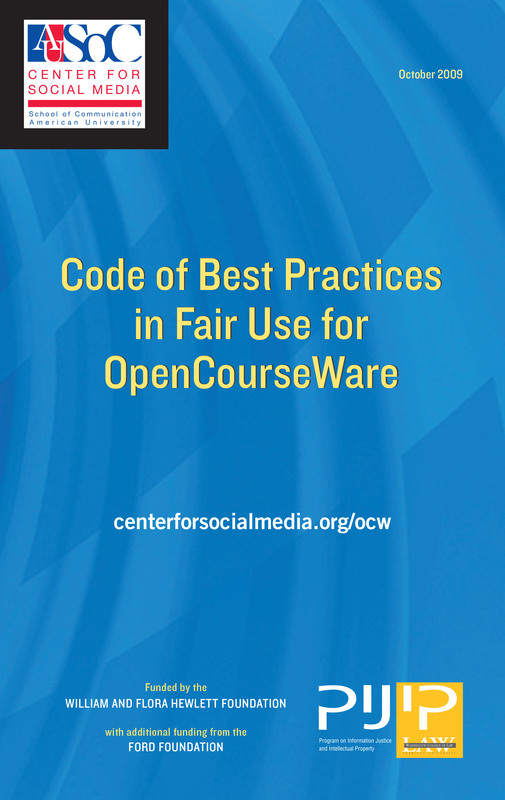 Attribution is crediting work of copyright holder(s) and is required of OER licensed materials. If you don't have full citations or attributions, we'll work with you to discover them. Documents need to be checked for accessibility and made accessible. Instructions are provided on how to create accessible content. Information on images is needed to create accessible images with "alt-text"
Think about concepts and skills and ways to enhance text with images, video and audio. 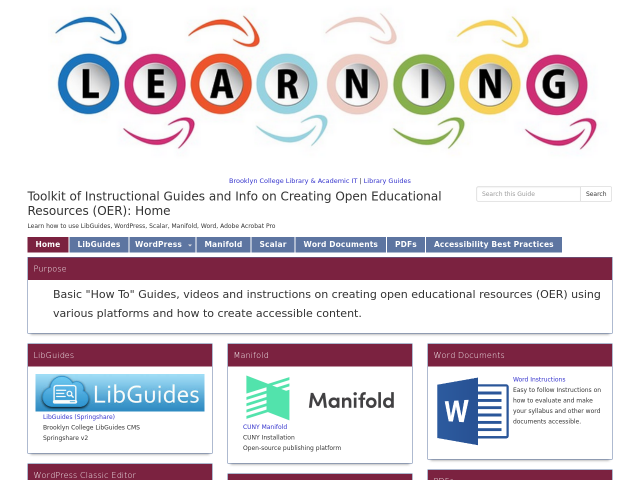 Learn how to create OER using LibGuides, WordPress, Manifold, Scalar etc. In addition, learn about how to create accessible content (word and pdfs). There are numerous platforms to use to create your Brooklyn College OER. This guide, created by Brooklyn College Library's OER Developer Colin McDonald, provides a basic overview of various OER platforms. There are many digital tools available which can be used in OERs as learning objects. The Digital Toolbox for Teaching and Scholarship, created by Brooklyn College Library's OER Developers, explores and evaluates some of the many digital tools available on the web.The toolbox also touches on accessibility and the ADA in digital scholarship and creation. Accessibility is important for everyone and benefits everyone. Open access and open pedagogy is about building and sharing knowledge with as many people as possible and accessibility is part of that mission and means making your OER usable by people of all abilities. In addition, with the increase of student centered content creation, we need to make sure the creation side of digital tools, platforms, and projects are also accessible to as many people as possible. This guide and resources, created by Accessibility Librarian and OER Developer Amy Wolfe will walk you through accessibility issues and how to create accessible OERs. Pays tribute to the people around the world using CC licenses to build a better, more vibrant creative culture.From Creative Commons on Vimeo. Make a rough plan of your OER content. Identify the most important concepts, skills, knowledge that students consistently struggle to learn and consider enhancing the text with images, video and audio. Cite & Attribute: Citations for OER materials depend on the type of material being referenced. Use the Library's Citation Tools to quickly create citations based on a resources format. Attribution Refers to the crediting of work to the copyright holder and is a frequent requirement of OER licensed materials. Licensing: Open education resources often have an intellectual property license attached that specifies how OERs can be used, reused, modified, and distributed. At the very least, licenses often require attribution to the OER creator when using the resource(s). Creative Commons is the primary source for licensing OERs. To explore the types of licenses available, visit http://creativecommons.org/licenses/. Use the CreativeCommons License Chooser to determine what kind of license applies best to your OERs. Choose a platform to publish your OER. See below for a variety of platforms to choose from. Deposit your finished product in the CUNY institutional repository, Academic Works. Please contact Prof. Miriam Deutch miriamd@brooklyn.cuny.edu for assistance. Take a look at this great Quick Guide to Open Educational Resources (OERs) infographic, created by Georgia State University (CC_BY_NC license). 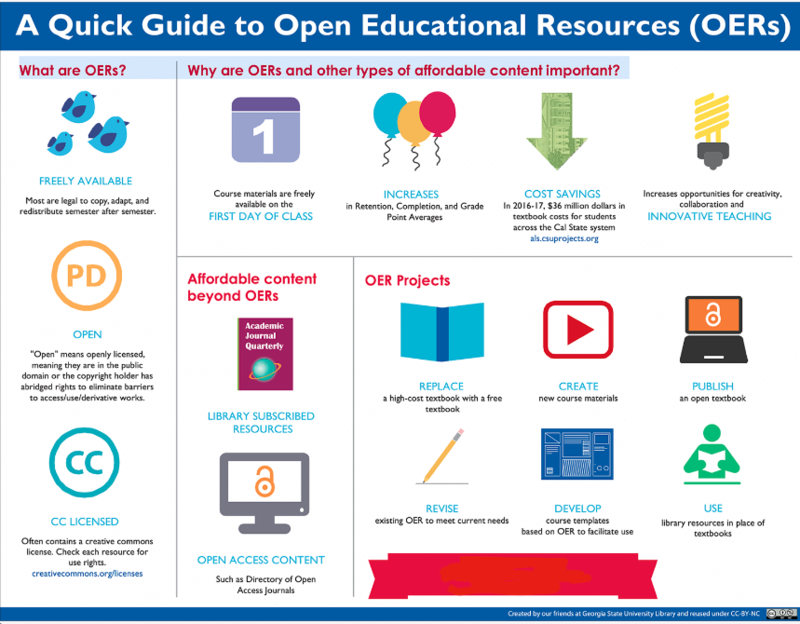 Download Transcript for A Quick Guide to Open Educational Resources (OERs) infographic. Some pages on this site link to PDFs. You can download a free version of Adobe Acrobat to view them.